Welcome to Exhaust Kings Online! Thank you for visiting the OFFICIAL Exhaust Kings store! We hope you are able to find what you are looking for! Buy "Stuntin By the Beach" entry tickets below. 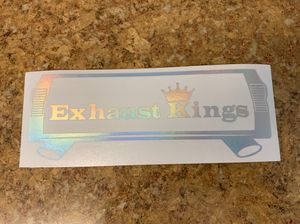 Grab the New Exhaust Kings Decals HERE! With More Colors Available!